Relaxed elegance shines from this lovely home in Williamsburg Estates. 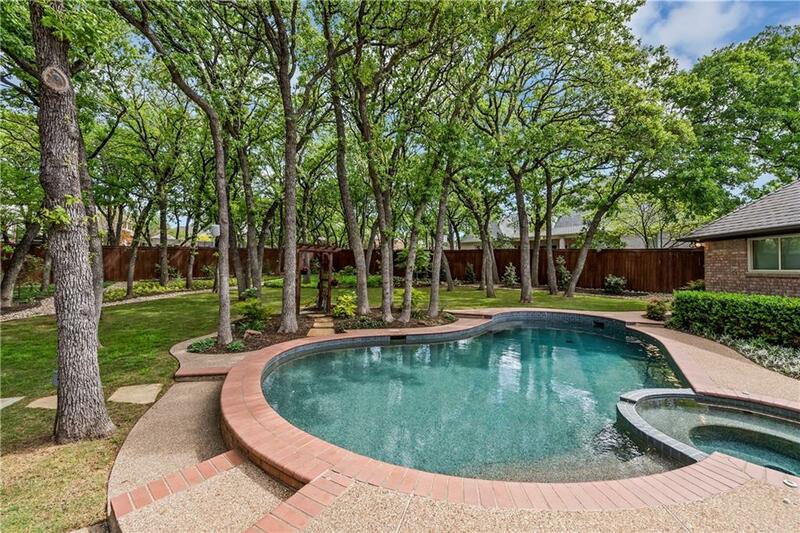 Large cul-de-sac lot is quiet and heavily treed with pool-spa and beautiful landscaping. Spacious open floor plan with floor-to-ceiling windows overlooking the backyard. 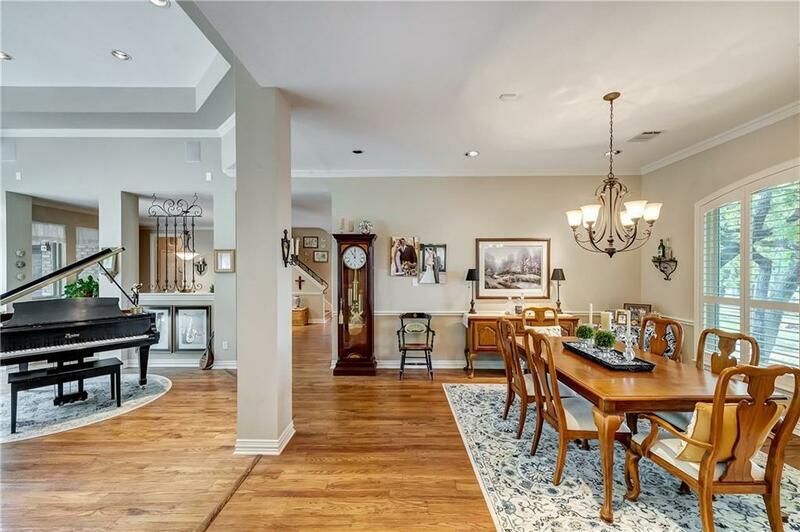 Quality abounds with hand-scraped hardwoods; updated paint, upgraded fixtures and hardware; newer SS kitchen appliances. 1st level features master suite and guest BR & bath; upstairs are 2 additional bedrooms, Jack-and-Jill bath and large game room. 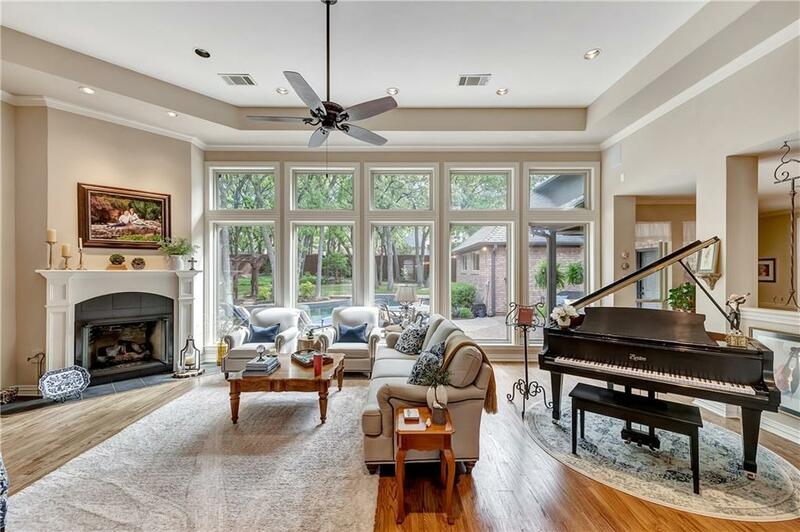 Many extras include high-end windows, plantation shutters, custom iron front door, wine closet, oversized 3-car garage with built-ins and walk-in attic. 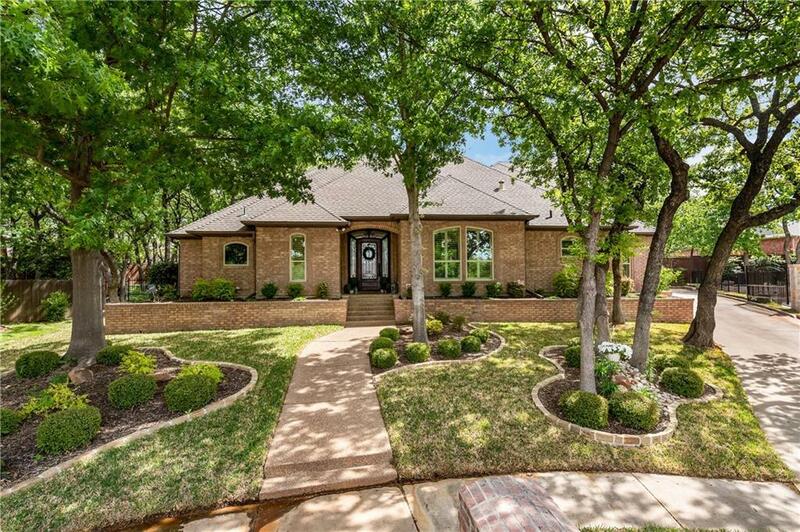 The home is ideally situated near Kellers 24 miles of hiking-biking trails.